April 04 JAM CCB Erik Hoffman & You 6:30–7:30 pm, come for a pre-dance Jam Session —Free! 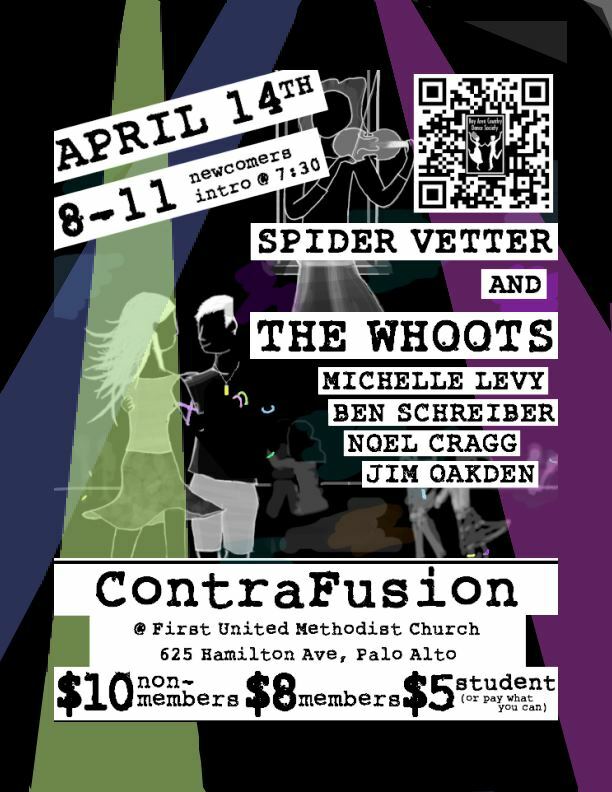 April 08 ENGLISH/CONTRA FSJ Bob Fraley William Allen & friends; 2nd Sunday, this month only. Easter door prizes! April 18 JAM CCB Erik Hoffman & You 6:30–7:30 pm, come for a pre-dance Jam Session — Free!